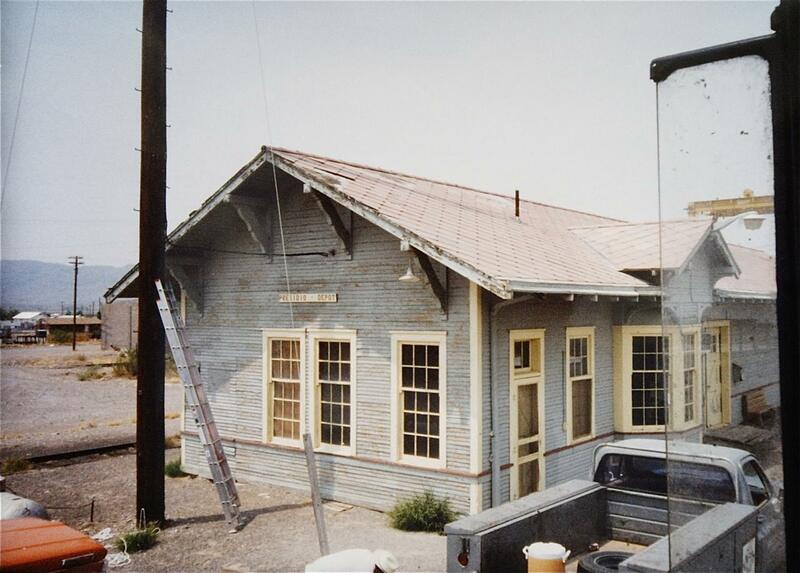 The Presidio depot. Our train will be inspected by a car inspector from Mexico, any bad order cars will have to be set out. If our train is shorter than eleven cars we can use the run around track at the bridge. 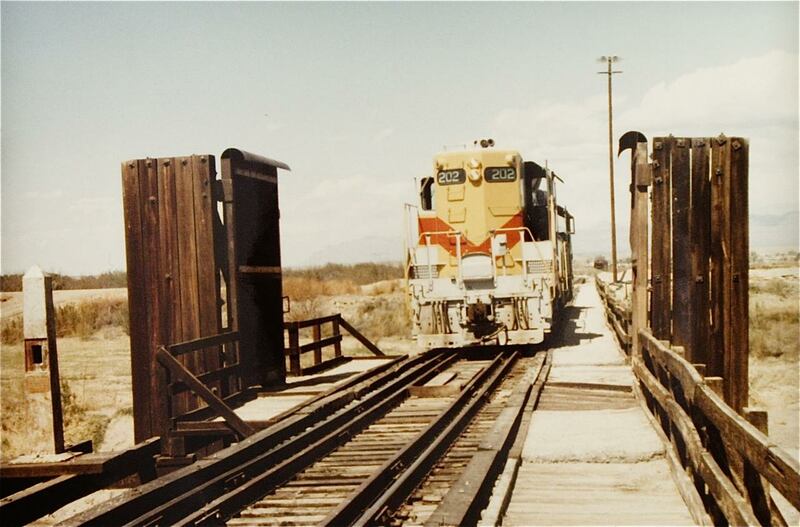 A longer train requires coordinating with the Mexican railroad who will bring their cars to the bridge first. The gate on the International Railroad Bridge at Presidio. The cars coming to the South Orient in interchange are on the Mexican side, ready for us to couple into and bring into the United States, as soon as I unlock the gate. 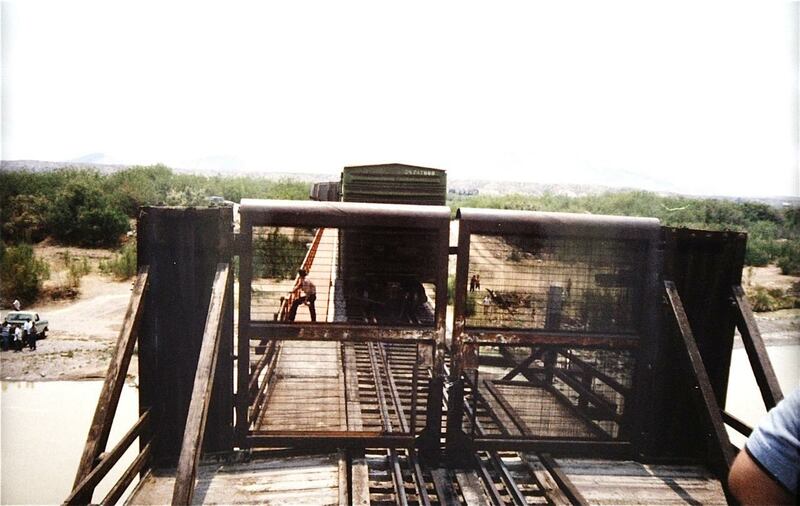 After 9/11, we had to wait for Border Patrol to come and unlock the gate. Sometimes they could find the key, more than once bolt cutters had to be used when the key couldn’t be located. The gate is open, I’m on the Mexican side, the International Boundary Marker is on the very left of the photo, time to couple into our interchange. We take the cars back to the Presidio depot where everything is inspected by Border Patrol, US Customs, and Dept. of Agriculture (for bugs). I call the SP dispatcher from the depot to let him know we are coming and will be at Paisano Jct. in about three hours. A few miles north of Presidio we cross the longest bridge on the South Orient. It spans Antonito Creek. A couple of times I saw water from bank to bank when summer thunderstorms upstream dumped a few inches of rain. 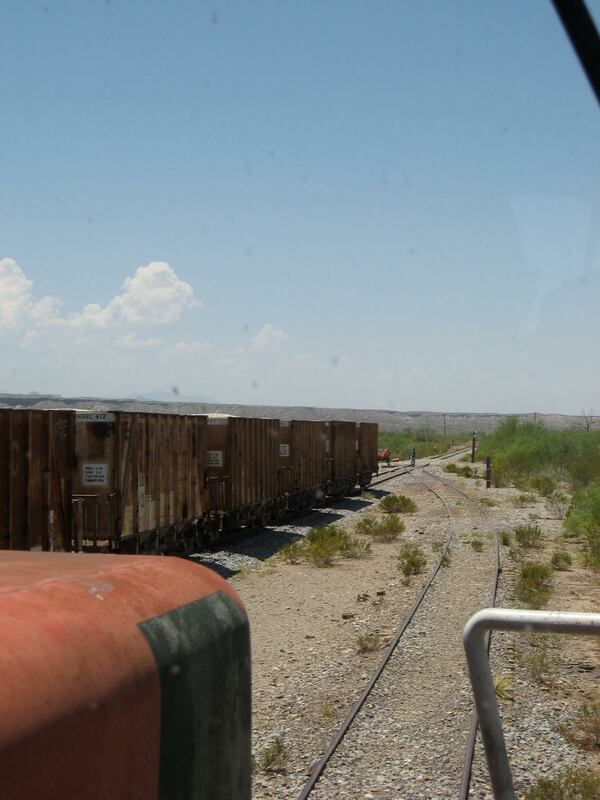 A short train heading north to Paisano Jct. The track inspector was riding the train this day, I was driving his hi-rail following behind. At Paisano Jct. we often had to wait on SP traffic even though we were getting short on time. It takes less than 30 minutes to get to Alpine from here. A SP westbound passes with NS power. 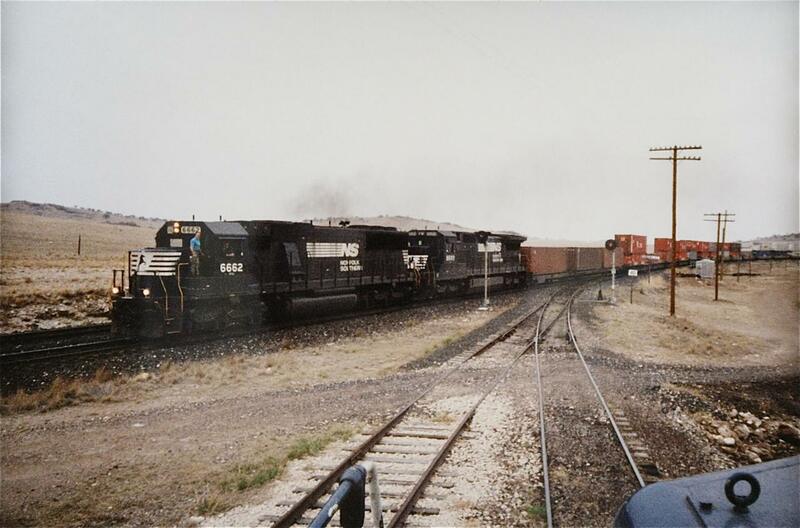 Starting in 1992, the South Orient Railroad was the southern portion of the old Kansas City, Mexico, and Orient Railroad. It had been Arthur Stilwell’s attempt to link the center of the United States to the closest Pacific port, Topolobampo in Mexico. The KCM&O only got as far as Alpine, Texas in the early 1900’s. 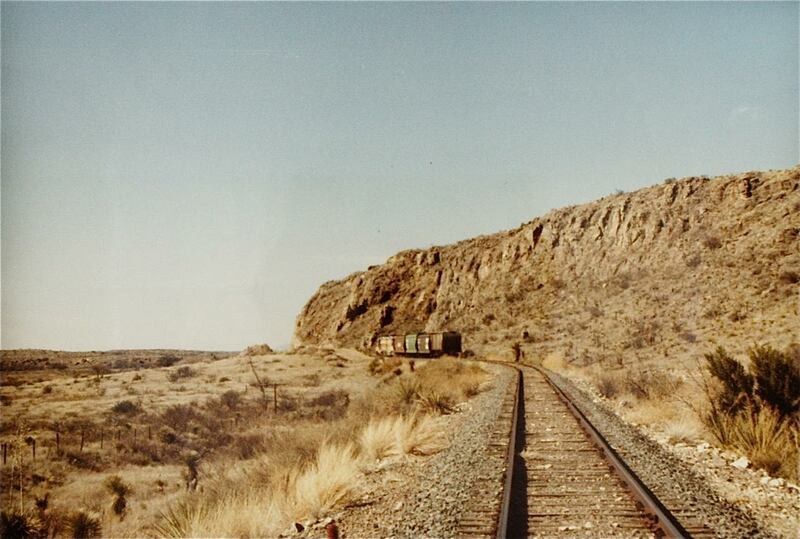 The Santa Fe acquired the line in 1928 and extended it from Alpine, Texas to Presidio, Texas where it met the Mexican railroad on a bridge over the Rio Grande. 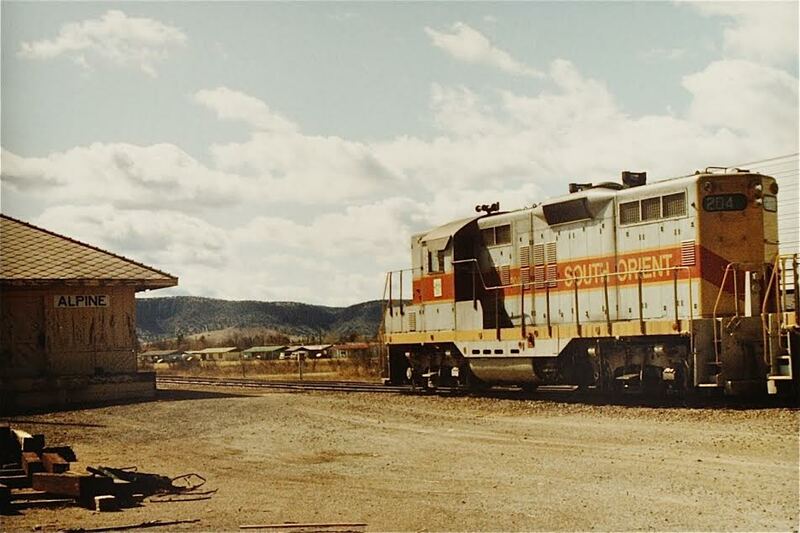 Beginning in late 1992 I was the conductor for the South Orient in Alpine. 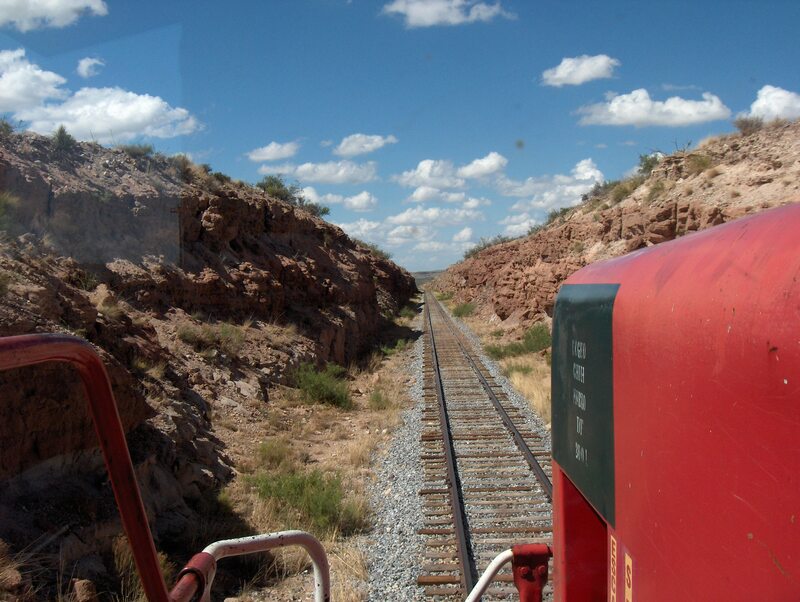 My engineer and I handled the South Orient trains from Alpine to Presidio, and from Alpine east to various meeting points with the South Orient train coming west out of San Angelo, Texas. Almost immediately out of Alpine heading to Presidio the South Orient had 11.9 miles of trackage rights over the Southern Pacific (now UP) to get to Paisano pass, highest point on the Sunset Route between Los Angeles and New Orleans. 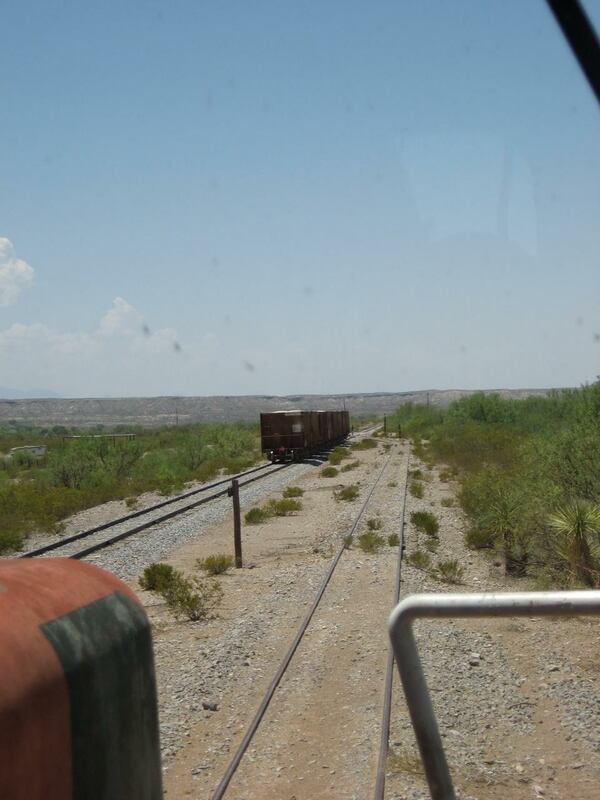 Here we are approaching the east switch at Paisano siding. The signal is actually a flashing red, proceed at restricted speed, as the junction where the South Orient tracks leave the SP is just around the curve. 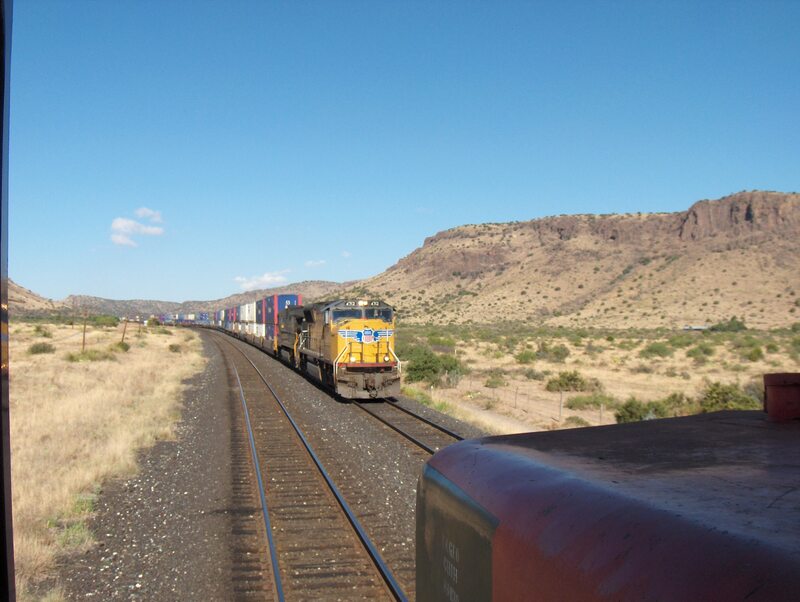 Looking back after our train has left SP rails, a SP freight passes Paisano Jct heading east. It is about 60 miles to Presidio from Paisano Jct. 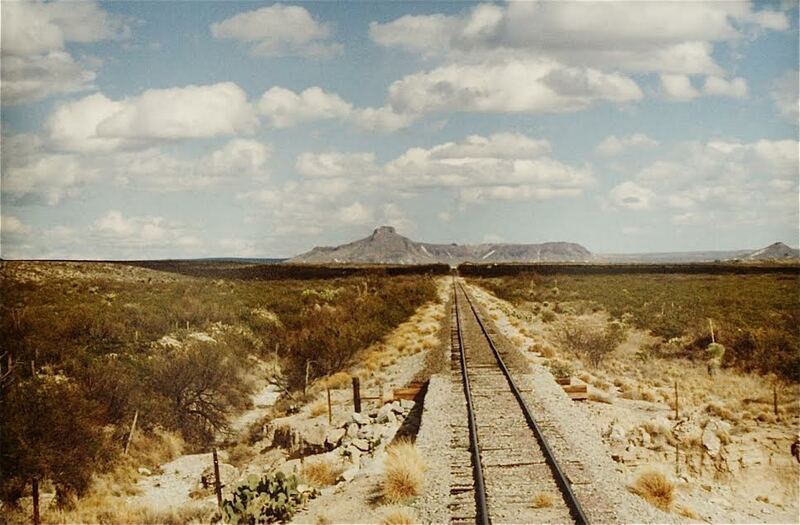 though West Texas scenery. South of Casa Piedra (To see a recent post on Casa Piedra, click here. 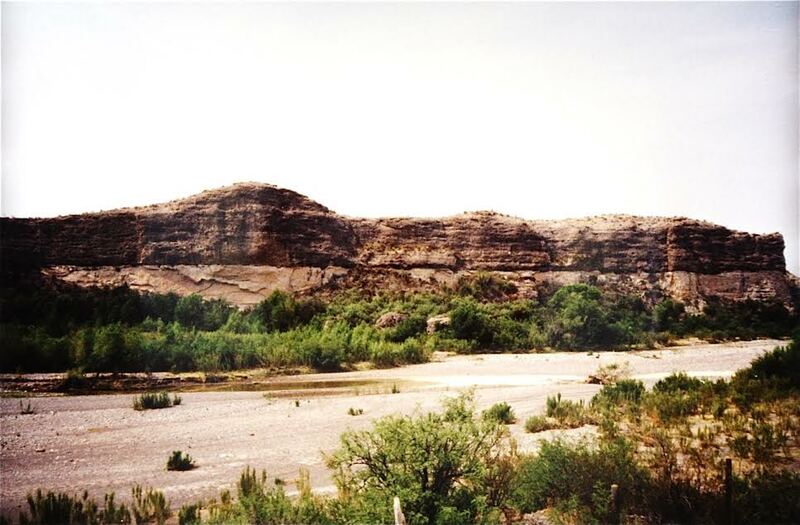 ), the track runs though part of Big Bend Ranch State Park along Antonito Creek. I saw a number of mountain lions in this part of the run over the years. (Editor’s note–At 311,000 acres, Big Bend Ranch State Park is Texas’ largest and certainly one of the most beautiful and remote state parks in the state system. 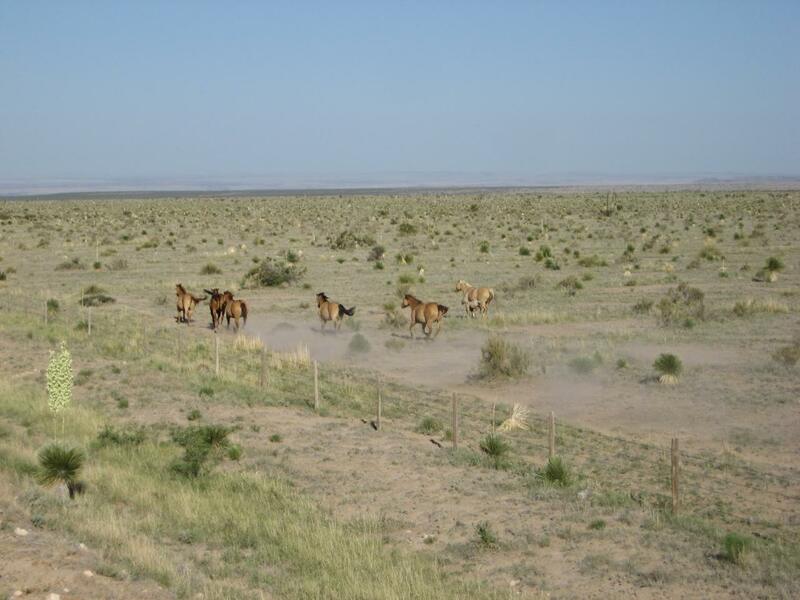 It is very close to Big Bend National Park. In Part II, we will see a lot of South Orient rail action including seeing traffic across the international bridge at Presidio. 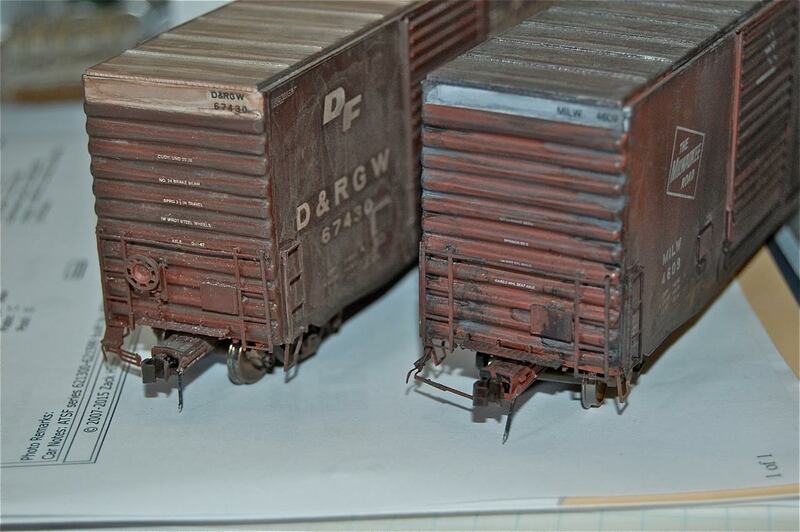 I am taking a break from constructing the layout to work on the car fleet. One car I have always liked are the “baby” hi-cubes. They were never very common. I believe they were largely used to haul appliances. 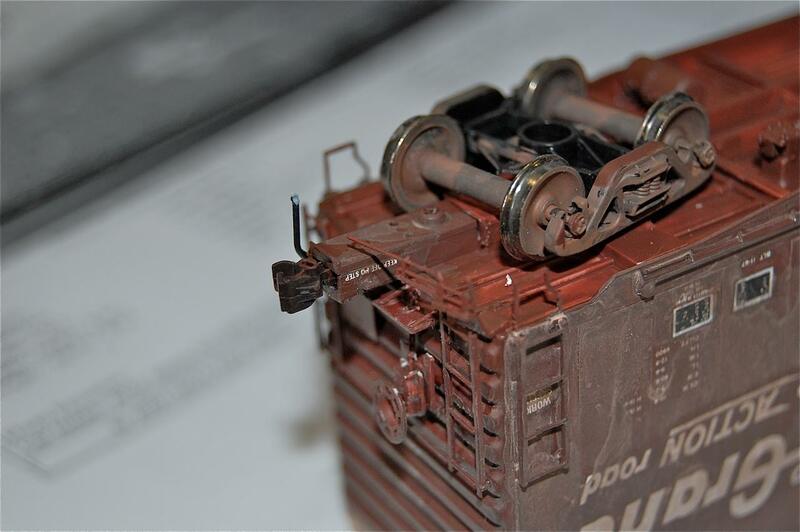 Athearn produced a couple of hi-cube cars, but most of the road names were not accurate for the variety the company produced. 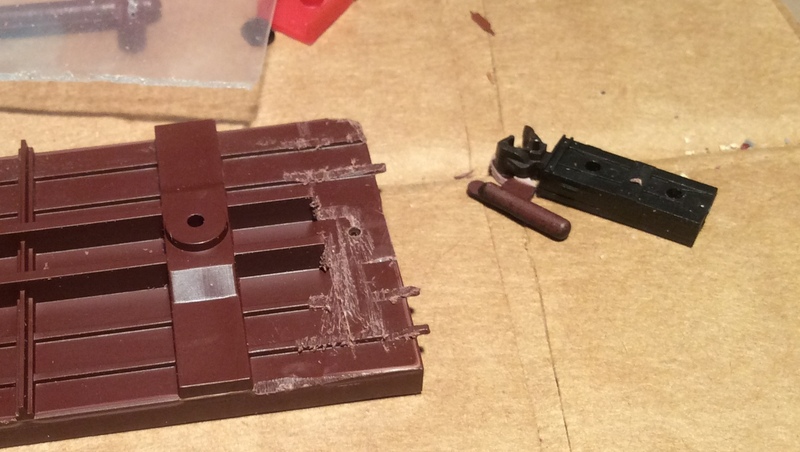 Hi-Tech Details makes a pretty accurate kit of one of the most common prototypes designs. Click here for a nice history of HO baby hi-cubes. Let me be upfront, this is not a kit for beginners. 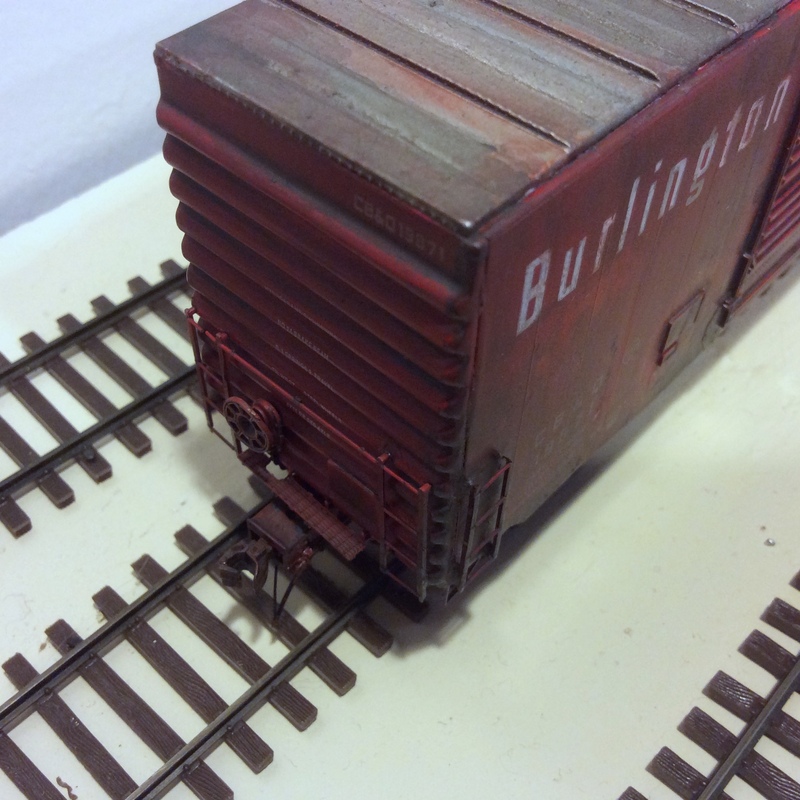 However, if you have patience and make a few modifications, it will result is a great addition to any freight car fleet for a layout set between 1967 and about the early 1980s. The biggest recommendation is to not get in a hurry and do consider replacing the couplers. 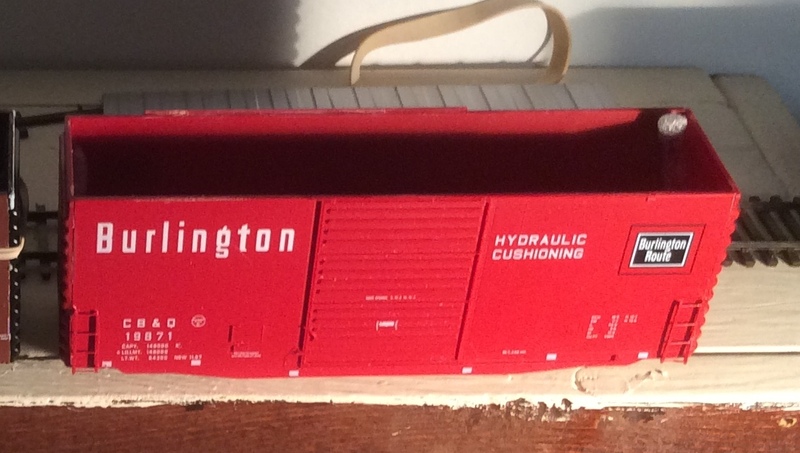 I also added Hi-Tech Details rubber air hoses. (They really are rubber.) I still need to add pin lifters. 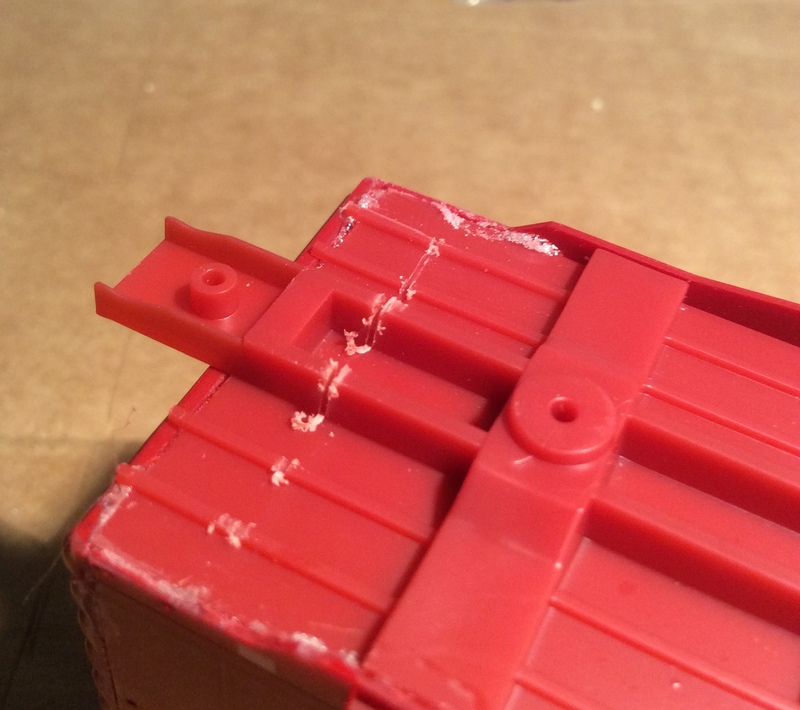 Again, do not hurry, especially when removing parts from the sprues. The ladders are very fragile. I broke a couple. Make sure you get the corners flush and square. Here is a tricky part. 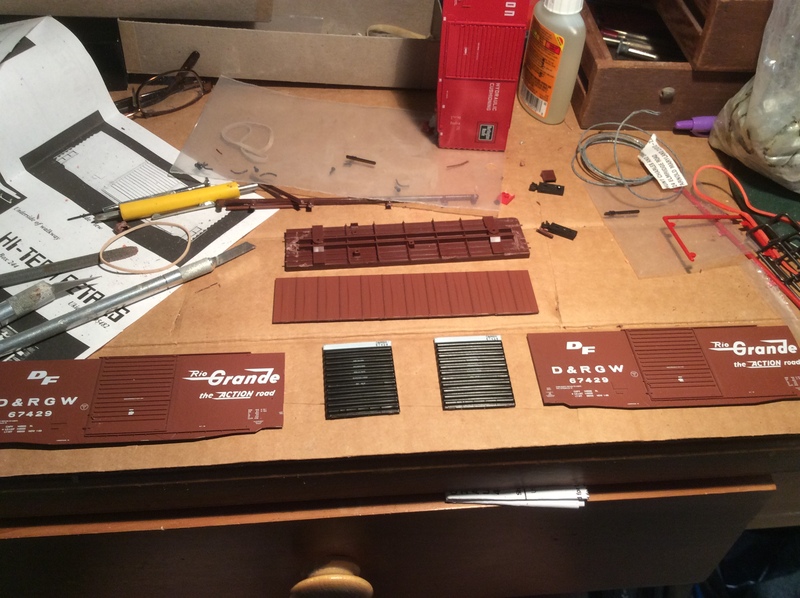 I learned on the D&RGW car to do this BEFORE assembling the shell of the car! As messy as it might be, it works. Pictured to the right is an accumate scale couple that works really well. Here is B. Smith’s coupler of choice for this job. It worked well for me also on my CB&Q car. See how nice the accumate couplers work? To see a similar prototype (#19837) from August of 1980, click here. I really like the results. Thanks goes out to High-Tech Details for producing this needed prototype and B. Smith for his helpful pointers. 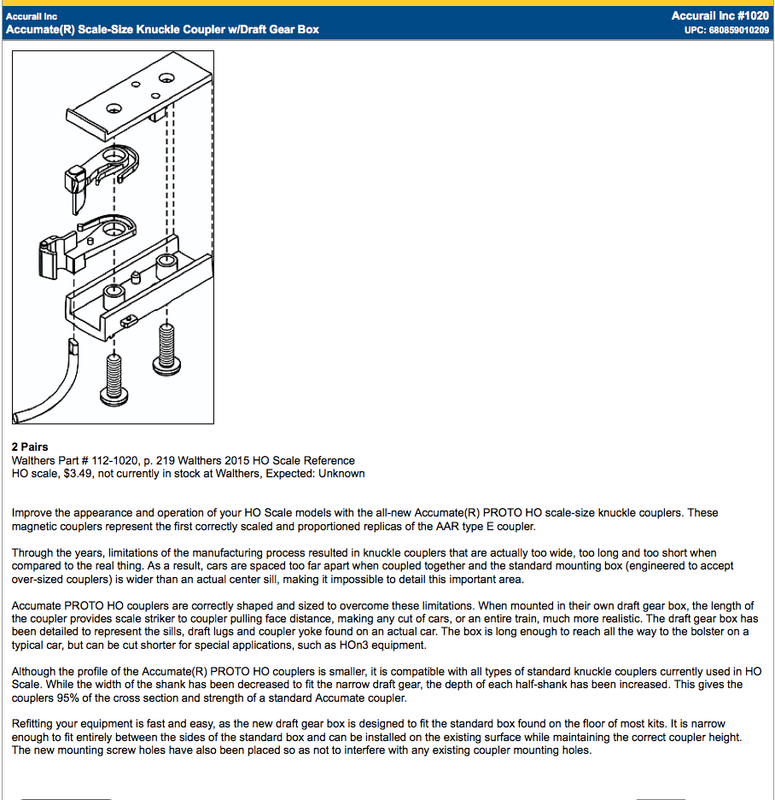 To see another link describing assembly of this car, click here. Does the presence of this car, signal yet another shift in the era I am modelling? Stay tuned to find out. 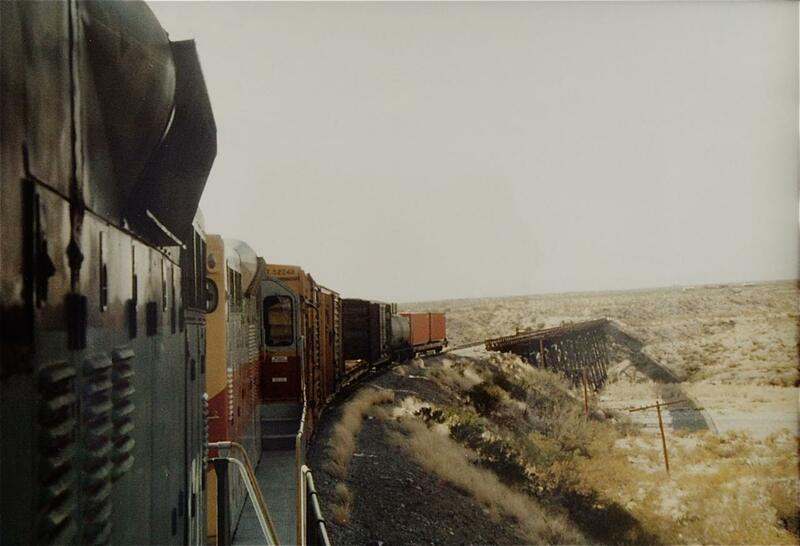 The day before I had taken the train over the 11.9 miles of UP track the Texas Pacifico has trackage rights across and tied down under the Hwy 90 overpass just south of UP’s Paisano Pass, highest point on the old SP Sunset Limited line between Los Angeles and New Orleans. 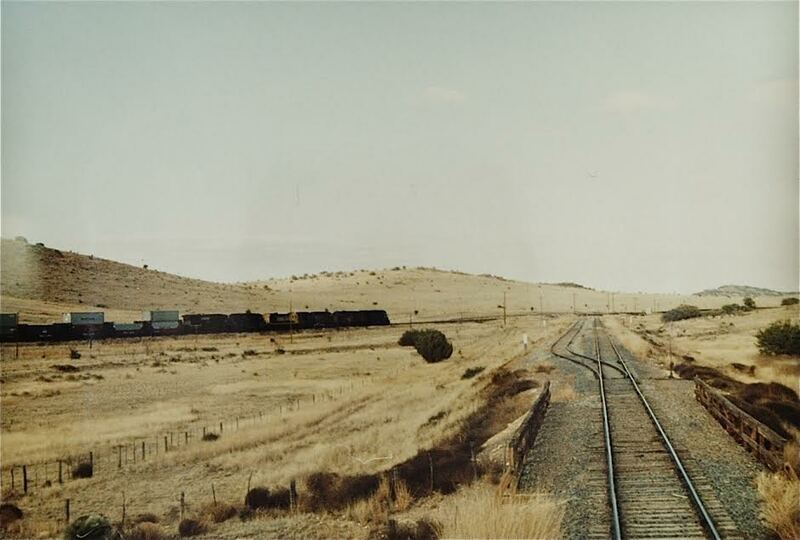 Before hoping back onto the Texas Pacifico west of Alpine, holed up waiting for a UP Freight to pass on the Sunset Limited line in an earlier time, June 2, 2006. 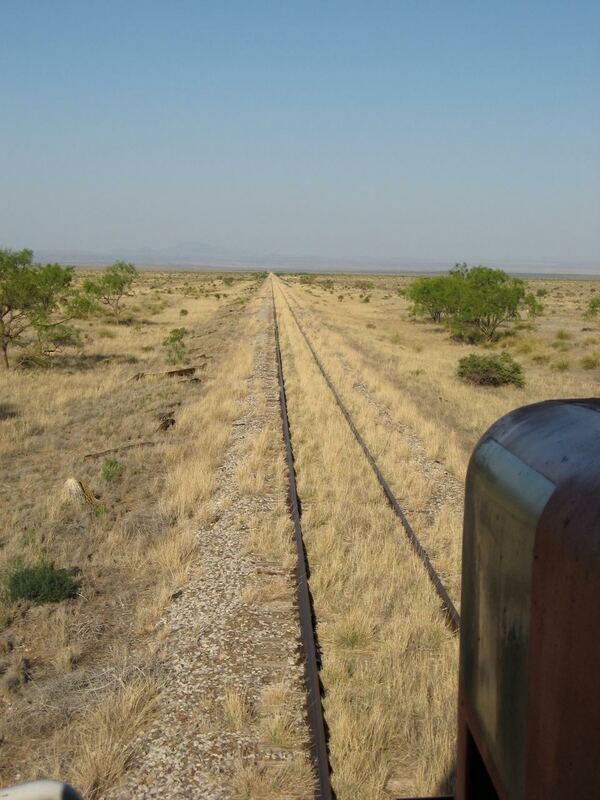 Even though the Texas Pacifico line south of Paisano Pass to Presidio Texas had not seen a train in a number of years, the agreement between the Texas Dept. 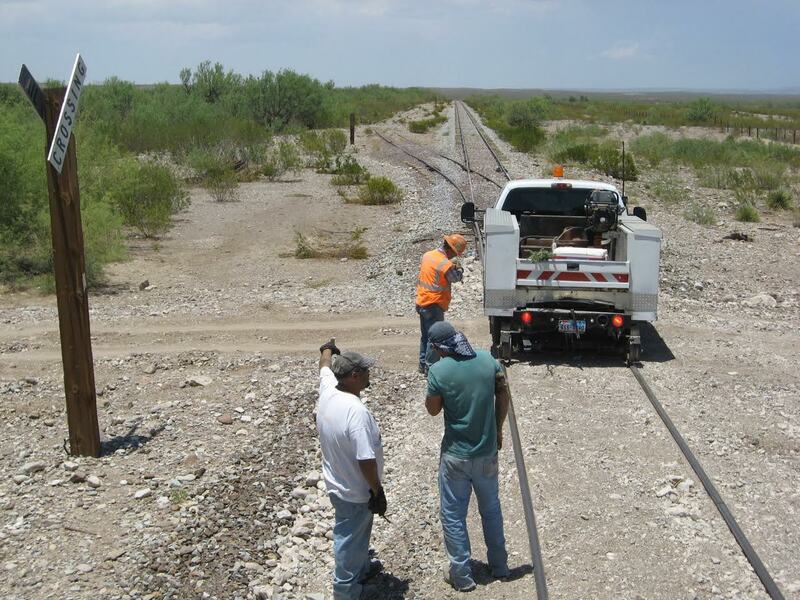 of Transportation, owners of the railroad, and Groupo Mexico, operators who leased the operating rights over the railroad, required the line all the way to Presidio be maintained in serviceable condition. 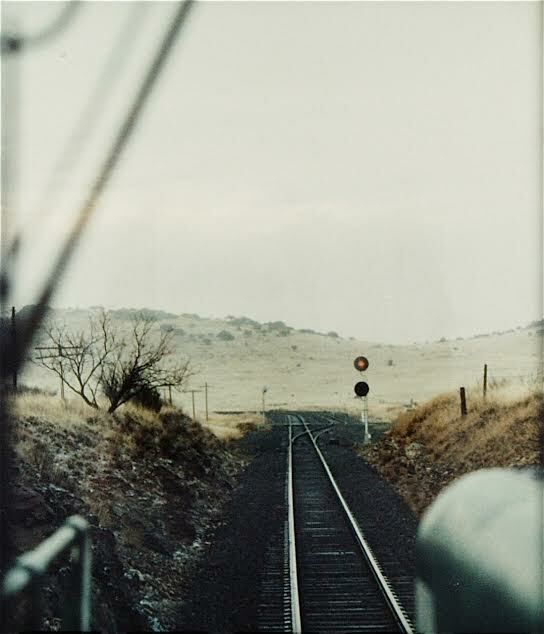 In addition to myself, the crew today consisted of a student engineer who had considerable experience as a conductor with another railroad but had just hired on with Texas Pacifico, and a new hire conductor who had no previous railroad experience. Before leaving Alpine I briefed them to get food and drinks in Alpine as there would be no convenience stores or places to eat the rest of the day as we were going way beyond the beyond. I had to provide a map to the conductor as he would be driving his car, the Red Dragon, and the roads do not follow the track. The Red Dragon was a low slung red Camero that dragged its bottom on driveway ramps off paved streets, not the sort of vehicle suited for the unpaved roads that existed beyond Plata, where he was to meet us and join us on the train. 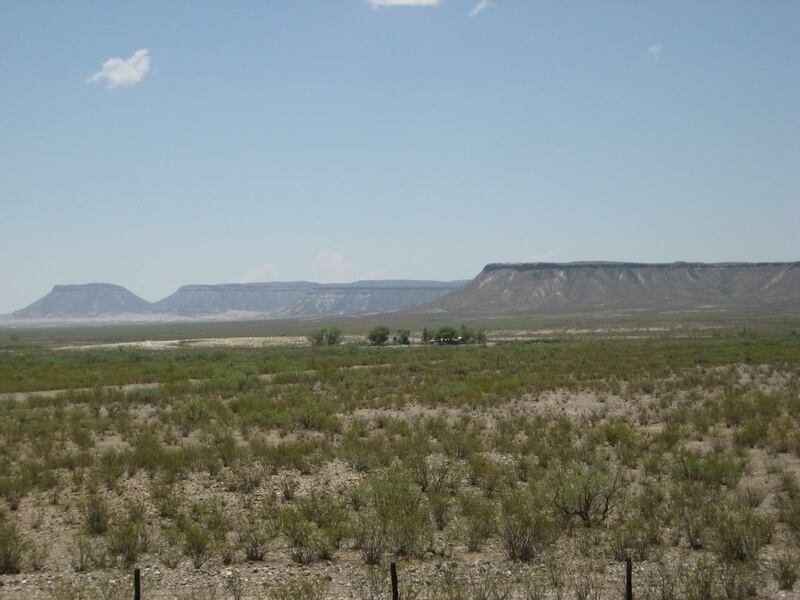 It is scenic country not far from Big Bend Ranch State Park. Casa Piedras is now a ghost town in lonesome country. Probably pretty much always has been. Hopefully, traffic will once again be restored to this lonesome, beautiful corner of Texas. 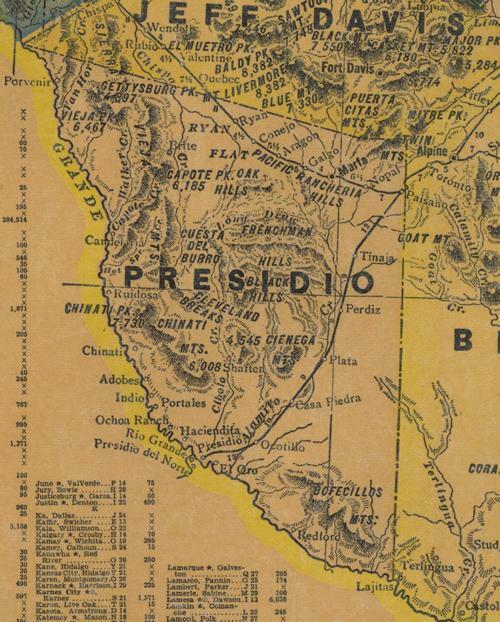 Type of country one passes through on way down to Presidio south of Casa Piedras. Beautiful!